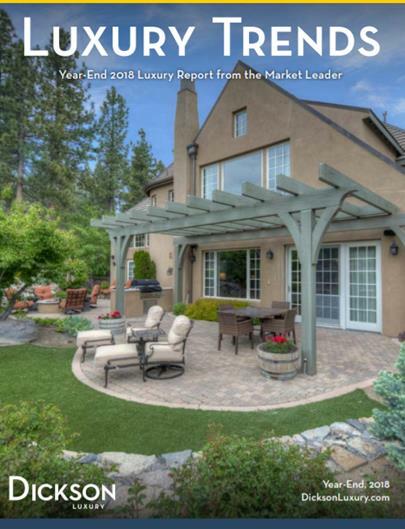 The Reno Luxury Home market is thriving! There are currently 280 homes on the market in the Reno Sparks area over a million dollars. And so far in 2019 there has been 7 homes sold for over 2 million dollars and 2 selling over 3 million dollars. With what is going on in California with proposition 30, our neighbors to the west will continue their migration to the Biggest Little City in the world. The tax hike in California that passed raised the state sales tax to 7.5% from 7.25% and raises income taxes on residents who make over $250,000. We have already started seeing our phone ring with inquiries from disgruntled Californians wanting to put down stakes here. I have a list below of all the homes currently on the market in our area over a million dollars. If you would like my most current compilation of Reno Real Estate statistics just fill out the form below and I will email to you right away. Our values are already up 5% in the last 12 months and we have a huge shortage of inventory. Let us know what style of home you are looking for, we have horse properties on 2.5 acres to 10 acres, featuring some of the most lush pastures anywhere. 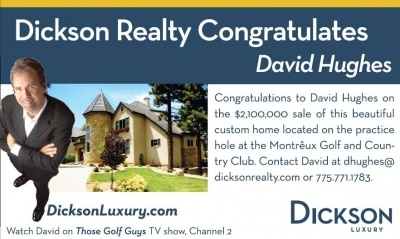 Or you may want to be on a world class Jack Nicklaus golf course at the foot of Mt. Rose nestled in the pine trees, then check out Montreux. If spectacular views are what you are looking for Arrowcreek Golf Community might be a good fit, featuring two golf courses and spectacular city views. Somersett in Reno is a newer golf community in the NW area of Reno and features an 18 hole championship course by Tom Kite...the amenities within this community features a par 3 - 9 hole course for its residents + a state of the art town center with work out facilities, tennis courts, swimming pools and basketball courts. We have been doing this since 1984 and know this market, thanks for visiting the number one real estate website in Reno. Fill out the form below and we will get back to you right away.